LH (Dr. Lornell E. Hansen II MD) has this comment on the latest Zerona Lasers review discussion around the effacacy of Zerona for 'fat melting' and a study that was just released. ...I do have to apologize as I did not know that the article had been published. The last I had read was that it was waiting for review. I also want people to understand that I am not saying that the physicians involved in the study did anything wrong with my evaluation of the article. I just think that the company is over marketing the product and charging way too much. The first thing they teach you in medical school on how to evaluate research is who paid for the research. 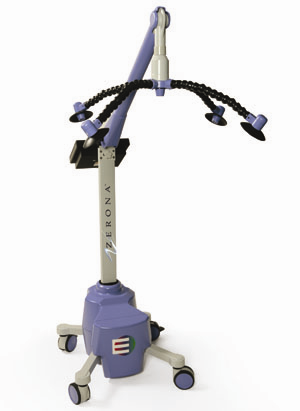 In this case the sponsor of the research and article was Erchonia the company that makes Zerona. Who wrote the article? In this case the article appears to have been written by Ryan Maloney. Who is Ryan Maloney? He not only is the medical director of Erchonia he actually has ownership in the patent of the Zerona. Other than that you do not know his background. We know he is not a PhD or physician otherwise it would be behind his name under the authorship of the article. He has a direct financial benefit to write the article in a positive light. 8 Individuals did not have final measurements. The first question is why? 4 were from the treated group and 4 were from the placebo group. At first that seems OK, but when you look further into they kept all of these test subjects included in the study. What they did is they took the last measurements for those subjects and carried them forward. Again seems Ok at first but when you start to look at the trend of circumferential loss at the 2 weeks post treatment the measurements are trending back toward baseline. So if you include these patients last measurement (which by the way is the best overall average circumferential loss during the treatments for the treated group) and carry them forward they will artificially lower the true values two weeks post treatment. All 8 of these subjects should have been eliminated from the study. There is no assessment of cosmetic benefit. To have this be worth something you would need before and after pictures that are reviewed by a group of individuals that are blinded to which treatment the individual participant received. So in other words is a 3 inch loss aesthetically significant. They do not state if participants are male or female. So the question is left, does it work as well on males as it does on females? This could be very important as males tend to have thicker skin so does the laser penetrate as deep in men? the study was limited to patients with a BMI of 25 to 30. Now I think it is fine to have this limitation as you have to start your research somewhere. But the limitation is that the article is implying that it will work for all BMI's. What about the thinner female patient with a BMI of 20 but has a small lower abdominal pooch? Or what about the patient that has a BMI of 35? This should be stated in the conclusion but Mr. Maloney seems to forget this. They also do not state if the patients received their treatments for free or if they were compensated for their time. This is only important for the portion of the study that talked about the patient satisfaction. We need to understand that patients will put a value on the treatment because if something is free their expectations are much lower. their expectations are much higher if they paid $2500 for the treatment. So if this was free to the patient and you have 30% of the treated group that are dissatisfied or neutral what would that mean to a clinic if the patients are paying for it. I would guess you will have a much higher dissatisfied group that either wants their money back or free treatments. I do not want something in my clinic that has a 30% failure rate. They do not discuss if either group was asked to change their diets. This should be stated up front in the methods portion of the article. They also do not mention if there were any dietary supplements required such as niacin. Most clinics using Zerona are having the patients take niacin even Erchonia recommends it. They set the standard for success to be an inch loss of 3 inches or greater. Only 62.86% of the treated group achieved success. So this translates in to a 37.14% failure rate. Again, not something that I would want to stake my reputation on. Now what do the numbers mean? If you look at the numbers the patients baseline combined measurement average was 120.31 inches. At week 2 of treatment (the best measurements achieved) the average was 116.79 inches or an inch loss of 3.52 inches on average. This sounds pretty good until you look at the true numbers. Using the numbers from the study this equates to a 2.9% inch loss as measured over 4 areas. Is this clinically (visually) significant? I do not think that most individuals will be able to see a 2.9% change or if they can it will be meaningful. Lets take a look at the 2 weeks post treatment measurements. Remember, these are not true numbers as 4 patients had their best numbers included in these measurements pulled forward and included here. (I think all of their measurements should have been puled out). At 2 weeks post treatment, you see a 0.31 inch increase from the circumferential measurements at the 2 week treatments. What this equates to is an 8.8% increase in inches in only 2 weeks. So what happens at 4 weeks? 6 Weeks? So if it were a perfectly linear increase it would only take about 20 weeks or so to be 100% back at baseline. That is if it were linear and I highly doubt it is a linear response and if i had to guess most patients will be back at baseline measurements within 6 to 10 weeks and this is why there are no long term studies. The company has had ample time to produce longer term studies they apparently do not want to. So as you can see, there are a few issues with this article and how it was analyzed and written. The first and foremost problem is that the article was authored by an individual with direct financial interest in the product. The ASLMS journal never should have published this article due to the authors conflict of interest or it should have a disclaimer prior to the abstract. I have no vested interest in any of these non-invasive technologies and would love to see something like this work and have long term benefits for the patients. I think this technology may have better long term benefits on cholesterol etc. I have heard that there are some interesting studies coming. I just hope they are not written by Mr. Maloney. And for others reading this I assume that Chad works for Erchonia or the marketing company that is selling this thing to anyone they can including chiropractors. p.s. Sorry for being so long winded but I could not help myself. I want these companies to be held to higher standards. I think the ASLMS should have higher standards as well. If you read the thread there's some interesting thoughts that spring to mind. If Chad is not with Zerona it would be the first time in my experience that a patient has been searching for peer-reviewed medical studies before deciding to have a treatment... I'm just saying. Of course this qualifies as a guest post and a well deserved back link. Any other physicians using Zerona have any thoughts?